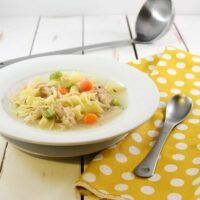 Chicken Noodle Soup - Dessert Now, Dinner Later! Hi guys! I am Aimee from Like Mother Like Daughter. 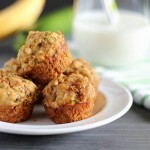 I am so excited to once again be here on Amber’s blog Dessert Now, Dinner Later for her Healthy Food, Healthy You month! I visited Amber’s blog once before sharing an easy and delicious no bake cheesecake, but it wasn’t exactly healthy. I’m not always the best at eating healthy meals every day, because I have to say I have a huge sweet tooth, which you’ll find out if you visit my blog. I’m pregnant with my first child, and especially now I want to make sure what goes into my body is healthy and that I get all the right vitamins and nutrients in my body so that I can keep my baby healthy. As a pregnant mama to be, sometimes I still want my good ol’ comfort foods. And just because we want our dinner to be healthy, doesn’t mean we have to give up our comfort foods, right? This meal is a good combination of comfort mixed in with health. 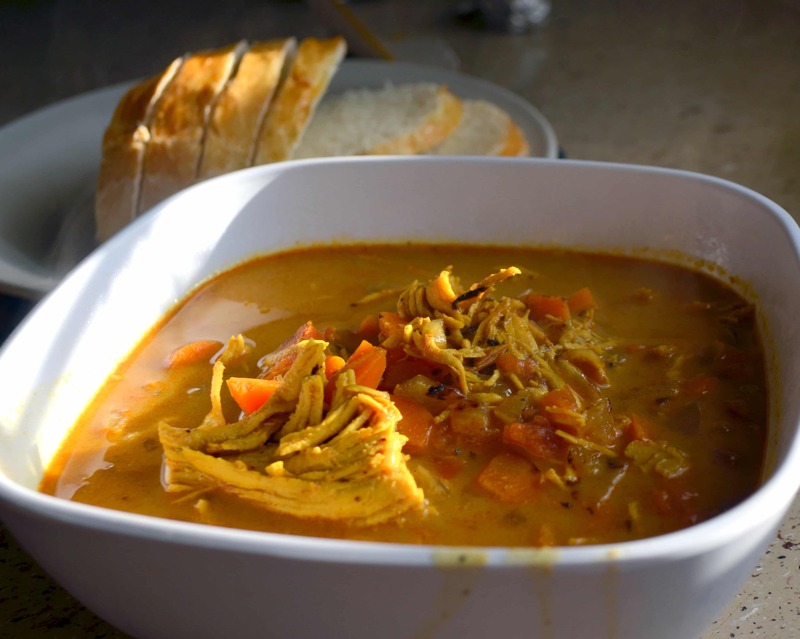 Soups, especially the brothy and non creamy kind are a great meal option. 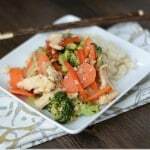 And this chicken (or turkey) noodle soup is jam packed full of veggies too. I made mine with leftover smoked turkey, but chicken would be fabulous as well! Yummy! 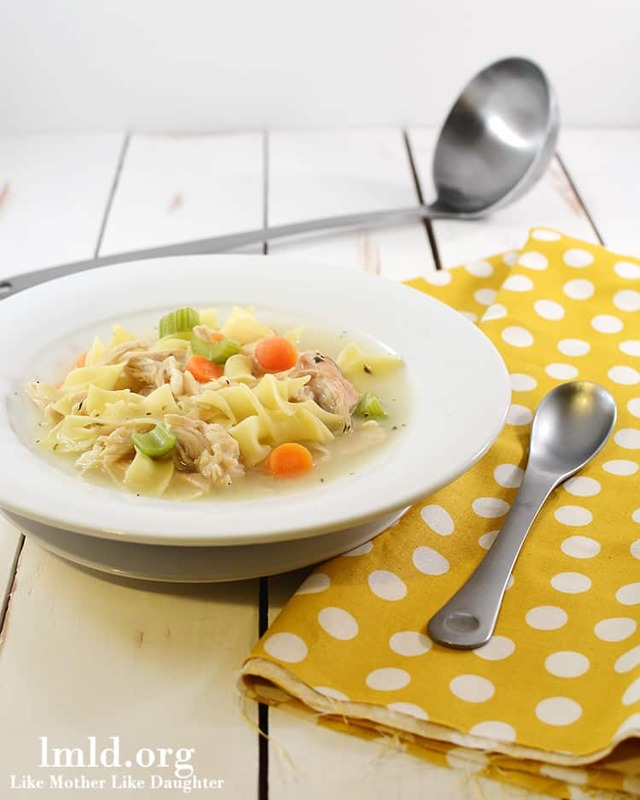 Thanks for sharing this – you can’t beat a good Chicken Noodle Soup! Amber, Thanks for having me over to be a part of this series. 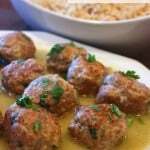 These recipes are all looking so delicious and I can’t wait to try to eat healthier this year! Oh yum! I have been craving a good soup with it being so cold lately. I should probably whip some of this up tonight! Pinned!